A group of Israeli soldiers has danced up a storm of awareness after they were filmed boogying alongside Palestinians while on patrol in the West Bank. The soldiers, while making their rounds in the city of Hebron last September, entered a dance hall and joined dozens of Palestinian men dancing to a tune in the popular “Gangnam Style”. 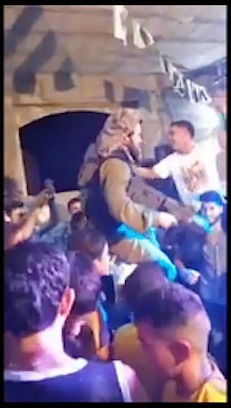 Footage aired on Israeli Channel 2 TV showed one soldier hoisted on the shoulders of Palestinian dancers. Other soldiers danced joining hands with the partygoers.